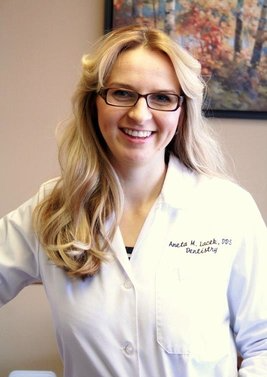 Hi, my name is Dr. Aneta Lacek and I am the owner of Archer Family Dental. I am very happy to be practicing here in the great community of Garfield Ridge. I believe the people of “The Windy” are the most hard working, resilient people in the world. It is an honor to provide dental care to the people of Chicago. I am a graduate of the University of Illinois-Chicago College of Dentistry, where I was honored to finish in the top 5%. I completed a one-year residency in General Practice Dentistry at Advocate Illinois Masonic Medical Center where I was privileged and challenged to learn more advanced techniques in dentistry. This included providing dental care to medically compromised patients, treating anxious patients with oral sedation, treating dental trauma, and other advanced techniques in restorative dentistry, fixed and removable prosthodontics, endodontics, periodontics and oral surgery. I have always dreamed of having my own practice one day. In March of 2014, my wish came true when I took over ownership of the practice from Dr. James Bryniarski. I understand that for most people dental treatment can be stressful and unpleasant. Thats why our office is designed to provide a relaxing, comfortable environment where patients can receive the best dental treatments available. My goal is to make each visit a positive experience. I get the most satisfaction when I hear a patient say, “That was easy! ”, “Were done already!”, or “That was painless!”. Communication between patient and dentist is critical to a successful relationship. I want to make sure my patients are educated about all procedures, all treatment options are explained, and all their questions have been answered. I am a member of many professional organizations, continue to invest in the practice to ensure we continuously improve on the patient experience, and I focus on continuing education to strive to provide the highest quality dentistry. I place great importance on providing the highest standard of care for my patients. I am committed to providing family and cosmetic dentistry to all age groups. I look forward to meeting with you and your family to provide the ultimate dental health and care. James Bryniarski, D.D.S. has been practicing dentistry for over 35 years. Dr. Bryniarski is heavily involved in the field of dentistry including private practice, teaching, leadership positions in dental organizations, and is committed to the advancement of the field. As a result, he is highly regarded as a leader in the field amongst his colleagues. Clinical Experience: Dr. Bryniarski was the owner of the dental practice from 1979 until he transitioned ownership to Dr. Lacek in March 2014. 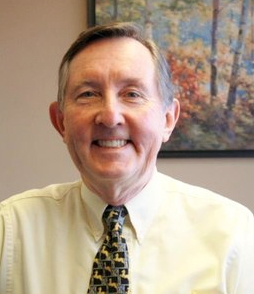 Dr. Bryniarski has been a pillar in the GarfieldRidge community and served many generations of families; whom he calls friends rather than patients. 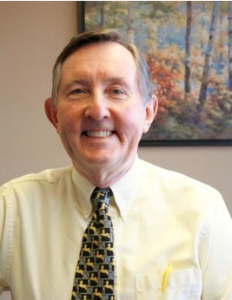 Teaching Experience: Dr Bryniarski has been faculty for the University of Illinois, College of Dentistry since 1982. He currently serves as the Associate Managing Partner of the Brahms General Practice Clinic. Dr. Bryniarski has taught and mentored many of the dentists in the Chicagoland area. Leadership Experience: Dr. Bryniarski is not just a member of many of the dental societies, but a leader. He is a past president of the Chicago Dental Society (West Side Branch) and Dental Arts Club (Polish dental society). He just completed a three year term serving on the Board of Directors for the Chicago Dental Society, been a delegate for the Illinois State Dental Society, and has been Co-Director of Expanded Duties for Dental Assistants (sponsored by Illinois State Dental Society) since 2001. Hobbies: In his spare time, he enjoys cycling, cross-country skiing, and traveling. He completed four cycling centuries, or 100 miles in one day. Dr. Bryniarski is committed to providing patients (“friends”) with the highest level of service at Archer Family Dental and looks forward to meeting you.